It’s easy to recognize the importance of the Junior Tyson Tour when you consider that 16 years after winning on the junior tour, Mike Weir captured the 2003 Masters Tournament. 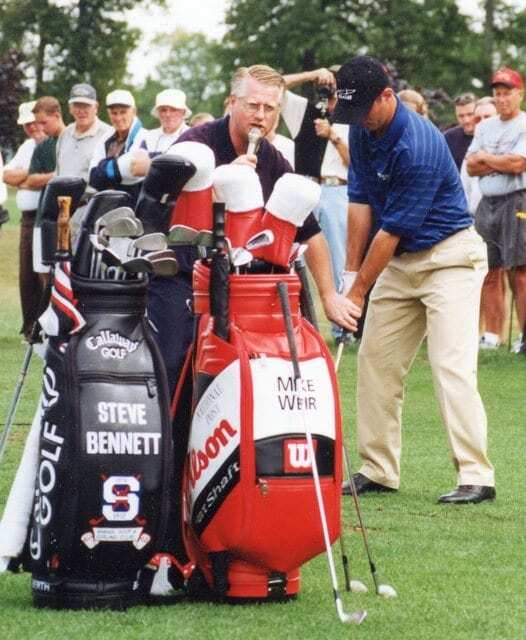 Of course, life was a lot simpler when Weir competed on the Tyson Tour – Canada’s oldest-running junior golf loop (est. 1968). Texting meant pencils and paper; gaming meant hide and seek and sandlot baseball; and the only screens kids stared at were televisions. Like many junior golfers, Weir would spend most of his summer days at the golf course, honing his skills and enjoying the company of his friends. At Huron Oaks Golf Club in Bright’s Grove, that meant studying the game under head pro Steve Bennett, who now oversees London’s municipal golf system and the Tyson Tour. But even today, with so many activities grabbing the interests of our youth, the Tyson Tour remains strong. It’s not easy keeping kids involved, said Bennett. 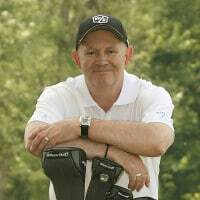 But he said with the game of golf offering a myriad of life’s lessons – including responsibility, honesty and integrity – the Tyson Tour looks towards a bright future as it celebrates its 50th anniversary season. This year, there are two fewer regular tour stops – eight instead of 10, in order to better fill fields. The Les Thomas Memorial Tournament will again be held at Thames Valley Golf Club then Fanshawe Golf Club on July 24-25. And Sunningdale Golf and Country Club will host the season-ending invitational Tour championship. Plus, for a third straight year, an introductory Pee Wee division for golfers ages 7 to 11 offers three dates at Thames Valley’s Hickory 9 layout. The Junior Tyson Tour’s 50th season wrapped up last August 30 at Sunningdale, with the 2017 Tour championship. And it was a brother and sister act from Highland Country Club who stole the show. Cole Friyia captured the overall championship title, while Jillian Friyia won the Junior Girls division. Highland’s Colin Warren, who won the 2017 Les Thomas event, captured the Junior Boys title, while Ben Landers won the Juvenile Boys title, and Landon Underhill captured the Bantam Boys division. Warren, 19, who works in the backshop at Highland, said he would like nothing more than to graduate from college, join the PGA Tour and win the Masters Tournament, just like his golf hero, Weir, who captured the Les Thomas tourney in 1986 and ‘87. A former member of the highly-successful Oakridge Oaks golf squad, Warren said it was “pretty cool, now that I’ll see my name on the same trophy as Weir. But I’d love to see my name on another trophy with him, at the Masters. Maybe one day. For a second season, all girls ages 10-18 will compete in one division as to combat dropping enrollment and to ensure a stronger bracket. In addition, a new points system has been implemented – it’s outlined at the Tour website, juniortysontour.com. For registration information, visit www.juniortysontour.com.